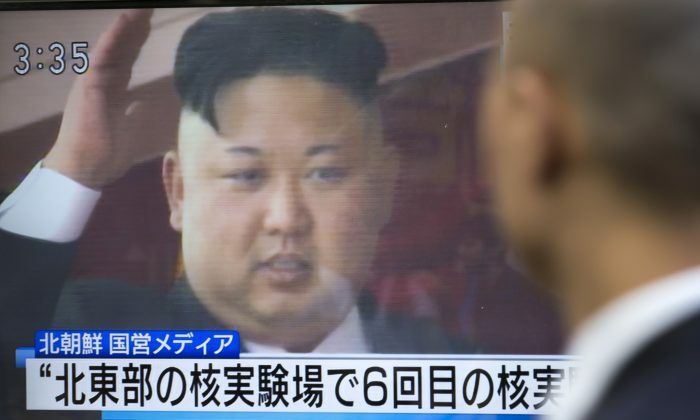 Reports are swirling that North Korea has begun testing an anthrax-loaded warhead for its intercontinental ballistic missile after Japan’s Asahi Shimbun newspaper quoted an anonymous intelligence source in Seoul. The report comes on the heels of a White House National Security Strategy that points at similar concerns. 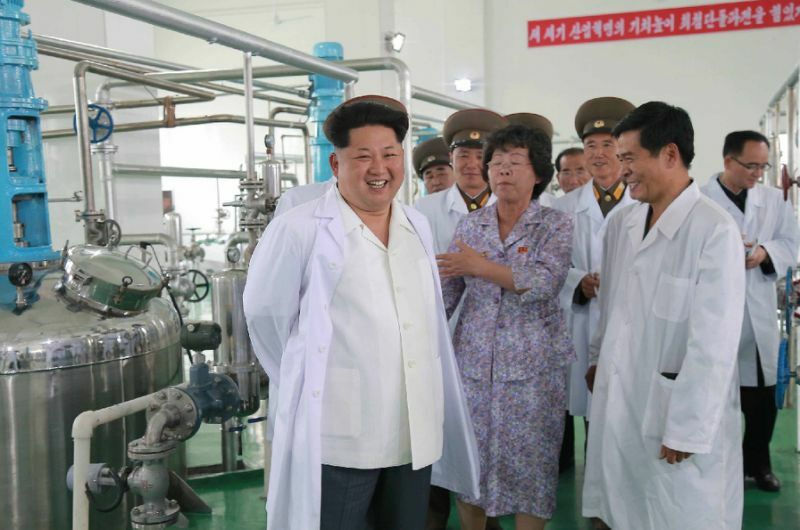 North Korea has vehemently denied the allegations, but past intelligence reports on the isolated regime reveal agricultural facilities with dual-use potential to produce anthrax. According to Asahi Shimbun’s source, North Korea is carrying out heat and pressure tests meant to mimic what a warhead would undergo as it descended to the earth during the final stage of its trajectory. 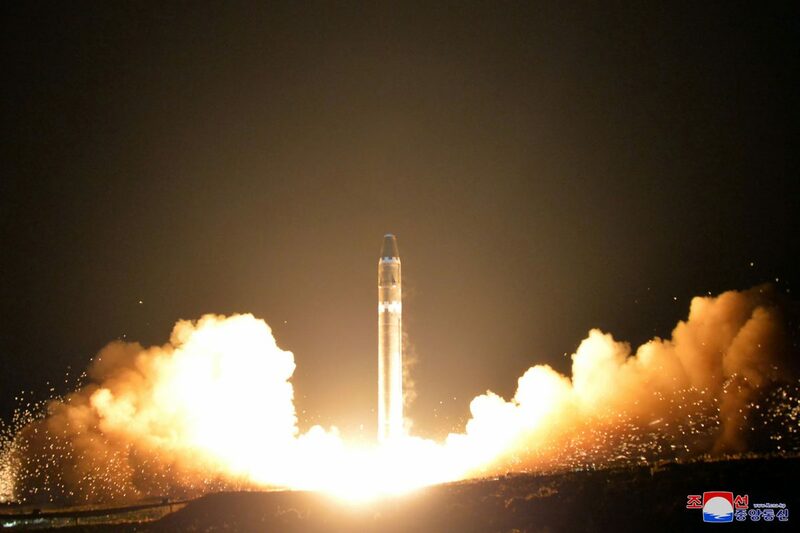 Photo released on Nov. 30 by North Korea’s official Korean Central News Agency (KCNA) shows launching of the Hwasong-15 missile, which is capable of reaching all parts of the US. The tests are meant to determine whether anthrax germs can survive at temperatures up to and above 7,000 degrees. That is the temperature an ICBM’s warhead can reach as it streaks through the atmosphere on its descent. According to the newspaper, an unconfirmed intelligence report claims North Korea has already successfully tested such a warhead under those conditions. North Korea is believed by South Korean and American intelligence agencies to already be developing biological agents or at least the capacity to mass produce such agents. In an October report, The Belfer Center at Harvard’s Kennedy School summarized evidence that North Korea has a biological weapons program capable of producing anthrax, smallpox, and other biological agents. The regime may already possess 13 biological agents, ranging from botulism and cholera to the plague, claimed the report. Experts say that North Korea’s drive to create biological pesticides and fertilizers may provide the facilities as well as a cover for a biological weapons program. Propaganda photos of the Pyongyang Bio-technical Institute released by the North Korean state media in 2015 revealed that the Pyongyang Bio-technical Institute “could produce military-sized batches of [biological weapons], specifically anthrax,” read the Belfer report. The White House acknowledges the risk of such a program in its just-released National Security Strategy. It warns that as North Korea’s missile program continues to develop, it does more than provide the regime a way to hit the United States with a nuclear weapon. “North Korea is also pursuing chemical and biological weapons which could also be delivered by missile,” reads the strategy. Pyongyang, however, denies it has any biological weapons program. A statement carried by state-run news agency that was republished by KCNA Watch said the allegations were groundless. 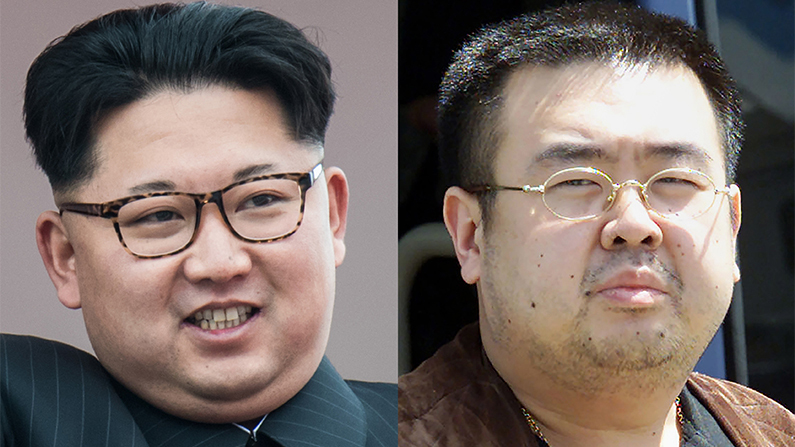 The February murder of Kim Jong Un’s older half brother and credible successor to the regime, Kim Jong Nam, revealed biological weapons could be a preferred tool for the North Korean regime. Kim Jong Nam was allegedly murdered by a Vietnamese woman and an Indonesian woman in a conspiracy with four North Korean fugitives. Nam was the heir apparent to the North Korean regime until he fell out of favour in 2001. He was believed in some quarters to still be China’s favored ruler of North Korea. He was murdered with VX, a nerve agent and banned chemical weapon. Apparently aware of the threat, Nam had a dozen vials of antidote for lethal nerve agent VX in a bag he carried with him on the day he was poisoned.